How do I harden my plants before transplanting them outdoors? What kind of lighting, if any, do my new seedlings need? What's the best way to transplant plants? What kind of soil is the best for starting seeds? In the big scheme of things, my husband and I are fairly novice gardeners. We've gleaned the majority of our information from books, websites, friends and the biggest teacher of all--experience. In our current location, we've had a garden for the last three years or so. We add to our space more each year, as we are able. It's only been the past couple of years that we have started any plants from seed. So, when I had the chance to review this e-book, I jumped at the opportunity. Partly, to glean some new tips and to confirm that we're not messing it up royally. Seed Starting is an easy read with a lot of great information and tips. I love how Gary talks simply and directly to the home gardener. His experience in gardening is extensive...he's a pro! He doesn't burden you with irrelevant information, though...I like that. There are chapters in this ebook on planning your garden, seeds, soils, equipment, light and transplanting. 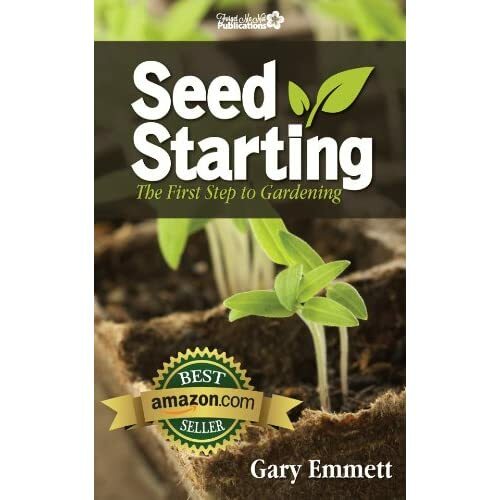 He covers everything you need to know as a first time "seed starter". Even as someone who's done this a few times, I gleaned several new tips that we'll be implementing with our new seedlings this year. For more reviews on this product, please visit Mosiac Reviews! I've revealed recently in a post(s) about some life changes that have led to stress in our lives. I've let those stress-ers (good and bad) led to (in my opinion) some significant weight gain. Hey, when you are approaching 40...10 pounds is a big deal. My metabolism can't deal with that as easily as it once did. Here's how it usually goes...I gain weight-I feel guilty-I try to lose-then don't- more guilt- or I lose weight-relax what I know to do-then gain again. I know what to do. I haven't been living under a rock for the past few years. I've watched some Biggest Loser episodes. The hard part is taking what I know and applying it to my triggers, habits, and my life in general. I know "health" and not numbers should be my goal...I am overall very healthy. I do not have any major illnesses associated with my weight, but I'd like to keep it that way. Having my "number" where it should be, helps me know if I am taking the appropriate steps to staying healthy--it's something tangible. I have 10 pounds to lose until I'm back to where I was before I started gaining again. This is the high end of normal as indicated by my physician. I have another 10 pounds to lose after that to achieve my "here's where I feel comfortable" weighing point. 20 pounds...no sweat, right? HA! I'll have to sweat a whole lot to reach this goal. I have found in the past the way I keep myself accountable to something is to post it (at least short term) here. It keeps it in my face and I can look back on my goals. So here I go again...moving forward, not looking behind. No eating in front of a screen Studies have shown we eat more when we combine screen time with eating. My scale agrees. In bed to read by 8-8:30 PM After my kids go to bed is my prime overeating time. I'm tired, overwhelmed from the day and no one is watching or asking for some. Here's the deal with "the card". When we lived in Illinois, we saw in an eating plan outlined in a Reader's Digest magazine. The whole premise was make one change a week for 5 weeks. It started with changing the way you eat breakfast, then lunch, dinner, snacks and finally added in exercise. We were very successful with this idea. It's not overwhelming to make small changes. "So, what about the card?" We adapted the servings for a day as proposed by this program into a laminated card that we could mark off as we consumed throughout the day. When your servings are all marked off...you're done eating! It's much like the weight watchers point system, I guess. On the back, is a handy guide for being able to "eye" portion sizes. For the next month, I'm using the card to help me be more conscious of my portion sizes. Keep track of how much water I'm drinking I basically only drink water, but haven't been keeping track of how much lately. We all tend to drink less in the winter months, so I'll be more conscious of how much I'm drinking. 12,000 steps a day I know I've been more sedentary lately. Some days I get in 12,000 steps but it's hard. I need to get up and get moving earlier in the day. Lately, I wait until the end of the day and run like a mad dog trying to get my steps in. Then, I wake myself up and end up going to bed later. My goal is to get these steps in earlier in the day. Add in an exercise video/program I'm not definite about this part, yet. But I definitely need to add something in addition to the steps. I'm hoping to report back in one month with some incredible results. Although, I'd settle for some modest results. You will get no detailed before and after pictures. I'm not plastering my behind or "Can you tell I've had 3 kids and 3 C-sections?" stomach on here for everyone to see. Not going to happen. You will get an update, though. I truly believe our physical health, habits and well-being effect all other aspects of our lives--emotional, spiritual and relationships. I'm praying for some spill over into those areas. I'm actually excited and happy about treating everyday as a blank slate, I'm ready to move forward. Plan ahead...if I don't prep things (usually the night before) ahead of time, we don't do them! Make it doable! Don't try to do too much. I show a week's worth of activities at a time on this blog. The rest of time my little man is playing with legos, blocks, being Larryboy, loving on the dog, watching Veggie Tales...you get the idea. Go with the flow. My preschooler is almost always ready to do his "activities". On days when we've been running a lot or have a number of outside activities...we don't do a lot of "activities". Pinterest...I really like pinterest. It's a great tool to get tons of ideas for preschoolers. I actually do accomplish a great deal of the things I pin. (There is a lot that I don't get around to, as well) It's easy to look on my preschool board to get some great ideas for the week ahead. At this age, make it fun...don't push it! I had one child that didn't want to do anything pre-school related. So we waited until kindergarten to start anything...anything intentional, that is. Michael loves doing school related things, so I just follow his lead. Don't compare yourself to other people or their blogs. When we look around and see others' doing so much more than we are...it can lead to a very defeated attitude. I saw a quote this week talking about "comparing myself to myself". If you do one more thing today/this week/this month, than you did in the past...that's what you focus on. Not that your "neighbor" did 25 more things than you did. Get other people involved. My two older kids help out a lot with Michael. On their assignment sheets, they have a daily activity as well as reading him one book. If I just can't get around to doing my "list", then I feel good that he's gotten some extra attention from his sister and brother. For more articles, hop on over by clicking here! 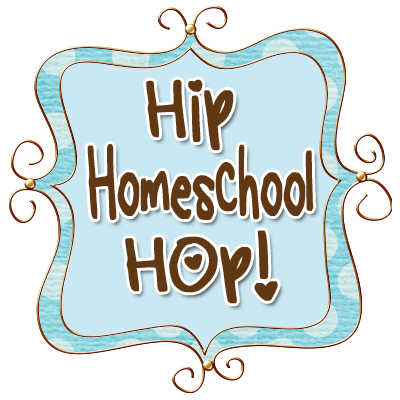 This post is also linked up with The Hip Homeschool Hop. Last week, I took a look at our schedule and decided to make this an "Odds and Ends" week for Tera and Daniel. We had lots of little things I just needed to cover. So, we did math and all those "little things". We started swim lessons again on Monday. I love that we can take short term lessons at our local college and help out future teachers at the same time. We went to the library, music lessons, and even a field trip today. (I'll post about that tomorrow!) I introduced 2 new supplemental programs that I'll be posting reviews on in a few weeks. We played games, worked on cooking skills, and gardening....just to name a few things. 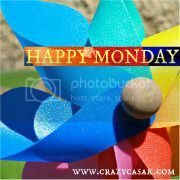 Our week was full! Michael had a full week as well...can you guess which letter we are on this week? Those are our "odds and ends"...do you ever schedule a week like that in your routine?